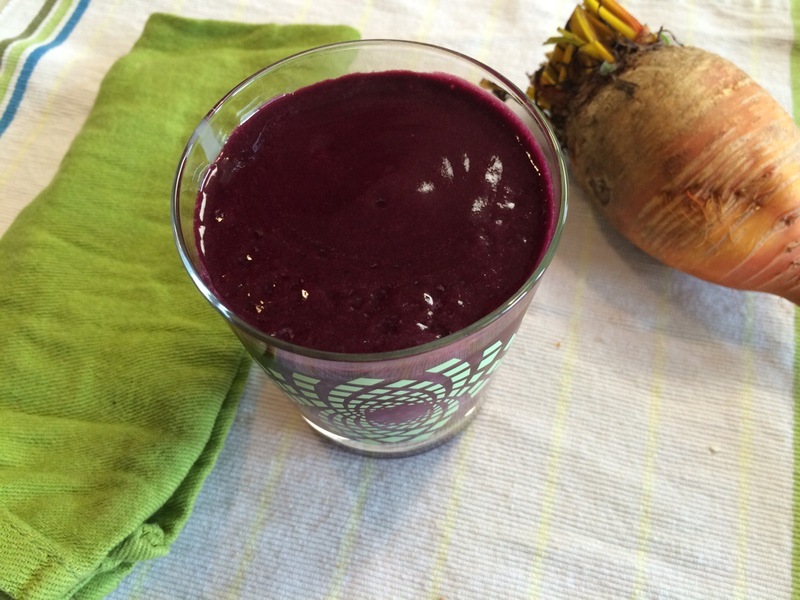 This beet and chocolate smoothie pleasantly surprised me. This was the first smoothie I’ve made that contained chocolate. It has a slight beet flavor, which may be because the beets were roasted ahead of time then cooled in the fridge. The recipe may work with raw beets, as this recipe suggests. I have some light colored beets left over (see the picture to the right) so I will certainly try this easy-to-make smoothie again with raw beets to compare. Not a fan of chocolate? 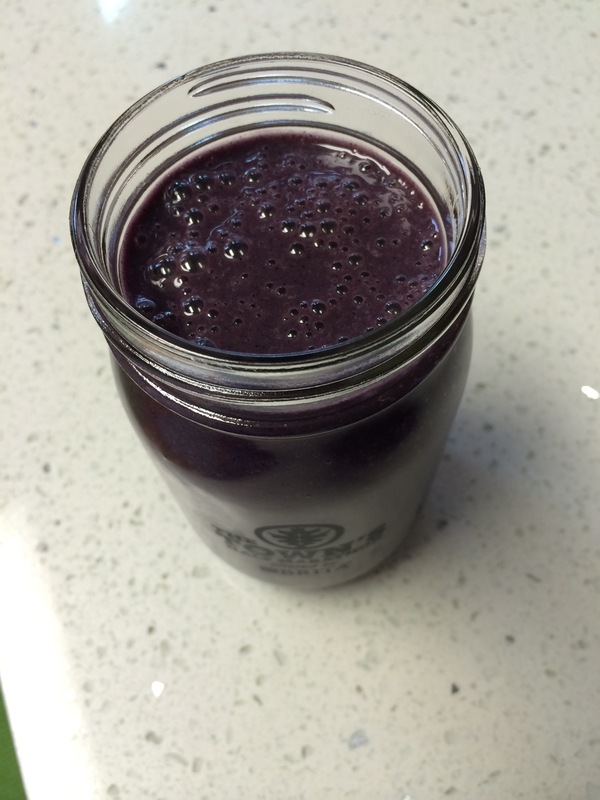 Try the Bodacious Beet Protein Smoothie. Categories: Smoothie | Tags: Allergy Friendly, arugula, Cake, chocolate, coconut milk, Dairy Free, egg free, fruit, Gluten Free, Gluten-free diet, Glycemic Index, Kale, Low Sugar, Nut Free, paleo, Peanut Free, recipe, Root Vegetable, Soy Free, spinach, Vegan, Vitamix 750 Pro, Wheat Free | Permalink. 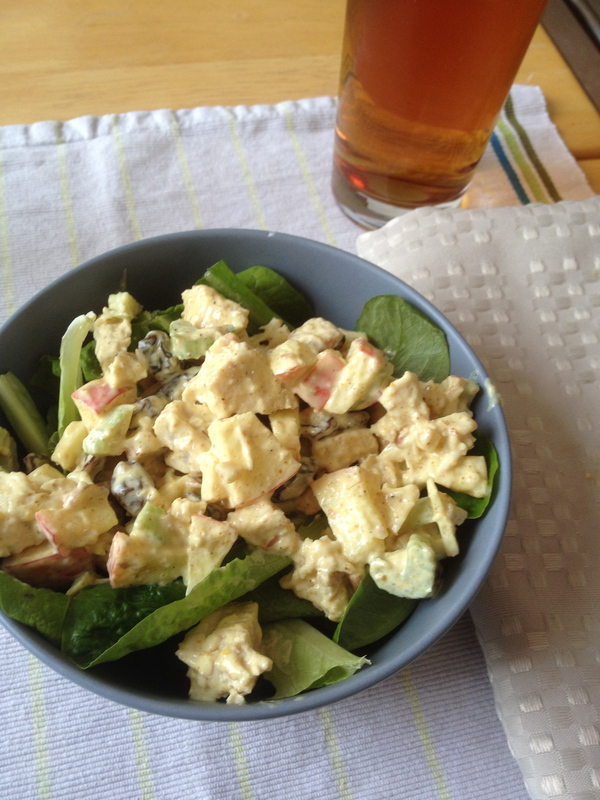 Here is a repost of a recipe: For an amazing twist to chicken salad from The Art of Doing Stuff. I just can’t get enough of this! Instead of buying celery and then not using all of it, I use bok choy from my produce box for the crunch. Be sure to visit The Art of Doing Stuff‘s site, as her photos and instruction are much better than mine! Combine all ingredients in bowl. Add additional mayonnaise to taste. Place over a bed of crunchy lettuce. Categories: Main Dishes, Recipes | Tags: Allergy Friendly, arugula, Dairy Free, egg free, Gluten Free, Low Sugar, Peanut Free, Pecans, recipe, Soy Free, spinach, walnut, Wheat Free | Permalink. Woke with a sinus cold and knew that eating something that packed a nutritional punch would be better than a sugar filled breakfast treat so I mentally scanned the items in my fridge. The kale had been used earlier in the week, but there was still arugula and spinach. 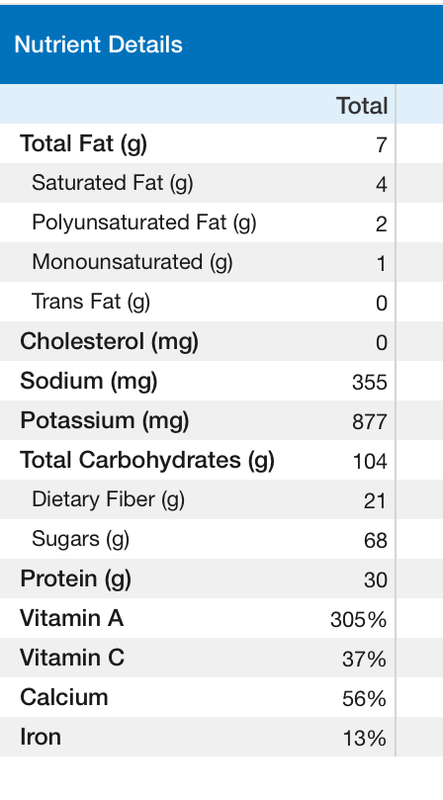 Though timid about using the bitter green in a smoothie, looking up the health benefits of arugula solidified my plan to eat an arugula smoothie to combat this cold. In the past, I’ve made a parsley and kale smoothie with great results so I found this Arugula Green Smoothie recipe and modified it with the ingredients on hand. If you like arugula, this smoothie will taste good. I didn’t find it to be bitter but certainly had the arugula flavor throughout. Upon reading the reviews of the above mentioned recipe, which included avocado (a healthy fat), I decided to add some walnuts. Walnuts have little flavor in my opinion, but help absorption of the fat soluble vitamins A and K found in arugula and fat soluble vitamins A, C, E and K found in spinach. Through the months of smoothie making with my conventional blender, I’ve found the best way to blend a smoothie is to put the liquid and protein powder (and nuts or flaxseed) in first, blend. Then place the leafy items in and punch down until it blends smooth. Finally, add the frozen ingredients, which make it creamy and thicker, into the blender and blend until desired consistency is reached. Add milk or water/ice as needed. When my bananas get past the point that I would eat them raw, I simply peel and place in a plastic zip freezer bag then put them in the freezer. They are great to add to smoothies because they will cool down the smoothie and typically there is no need to add ice. *The protein powder is added for flavor and also because coconut milk has zero protein but could easily be left out due to the addition of walnuts. If you are looking for a smoothie that will make you think of thanksgiving dinner, try this sweet potato smoothie! Categories: Beverages, Recipes, Smoothie | Tags: Allergy Friendly, arugula, Black & Decker Blender, butternut squash, coconut milk, Dairy Free, egg free, Gluten Free, Nut Free, pumpkin, pumpkin pie spice, recipe, Soy Free, spinach, sweet potato, walnut, Wheat Free | Permalink.